Gazing upon my NPR wall calendar, I'm reminded that this Saturday, August 20th, is National Radio Day. 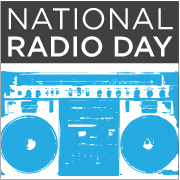 That's right – one day is set aside to celebrate radio. At NPR, we honor it every day, but we're happy to have an excuse to pay it extra special attention. 'Why would anyone want to celebrate radio in this digital age?' you might ask. 1) Radio is one of the nation's most accessible forms of media. 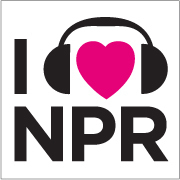 Did you know that 93% of Americans live within the listening area of at least one station that carries NPR programming? 2) NPR Member Stations are independently owned and operated. Together, they represent more than 750 stations throughout the country. They have deep roots in their local communities. In times of crisis, they are often the first – and sometimes the only – source people turn to for emergency information. It's this national network of strong, independent, community-based stations that makes public radio an American institution. 3) 'Radio has the best pictures,' claims Susan Stamberg. Listening to public radio, I often find myself transported to places near and far. Over the course of an hour, I can explore the Arctic, get the latest from protests in Syria, and listen to a chat with a truck stop owner in Virginia. 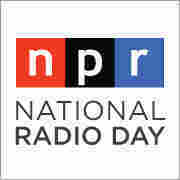 This year, National Radio Day falls on a Saturday. I suppose you might think that after spending 40+ hours a week working at NPR, I'd want a break from radio on the weekends. But weekends offer some of my favorite programming. Saturday serves up a marathon of awesome: Weekend Edition with Scott Simon, Car Talk, Wait Wait... Don't Tell Me! comprise my morning line-up (I've come a long way from the cartoons of my youth), and in the afternoon This American Life, Studio 360, and Splendid Table are there to enlighten and delight. 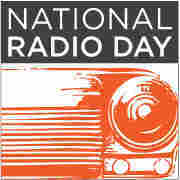 How do you plan to celebrate radio this Saturday – National Radio Day? Tell us! Post a comment below. Or, use one of these custom avatars we've created on your Twitter and/or Facebook pages and share your thoughts with friends. Of course, you could share this blog post with them, too, while you're at it. Spread the word, and the love of radio!